Jack Nicholson is an American actor who was born on April 22, 1937 in Neptune City, New Jersey. Corman's World: Exploits Of A Hollywood Rebel (2011) and America Lost and Found: The BBS Story (2010) are some movies in Jack Nicholson's recent filmography. Jack Nicholson's TV credits include The Fight Game With Jim Lampley in 2016. On Spotify, Jack Nicholson has a modest fanbase with only a popularity score of 8 out of 100 and around 200 followers as of 2018. His most popular track on Spotify is "Go To The Mirror" from the album Tommy. As of 2018, Jack Nicholson has appeared in about 79 movies. Some of the most recent Jack Nicholson movies include Corman's World: Exploits Of A Hollywood Rebel, America Lost and Found: The BBS Story, and How Do You Know. 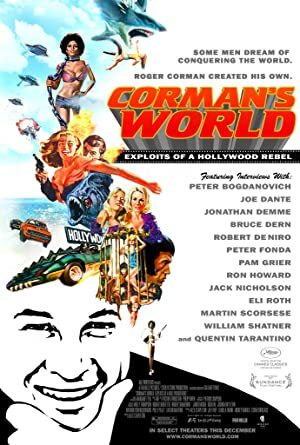 Corman's World: Exploits Of A Hollywood Rebel, released in 2011, featured Jack Nicholson as Jack Nicholson. America Lost and Found: The BBS Story was released in 2010. Jack Nicholson appeared as Charles in How Do You Know, also released in 2010. 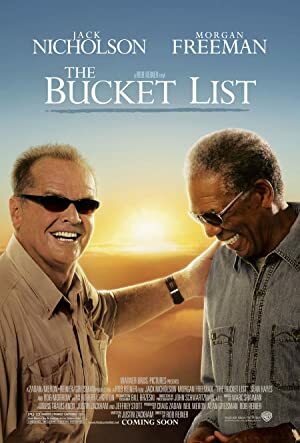 As of 2018, Jack Nicholson has contributed to one TV show. The Fight Game With Jim Lampley is the only recent TV appearance for Jack Nicholson. In 2016, Jack Nicholson was a guest on The Fight Game With Jim Lampley. As of 2018, Jack Nicholson has 200 followers and a popularity score of 8 on Spotify. Tommy and Anzac Voices: Gallipoli From Those Who Were There are some of the more popular Jack Nicholson albums. Notable tracks from these albums include Go To The Mirror, Life on Gallipoli (Elegy ‘In memoriam Rupert Brooke, Loch Lomond, Bushes and Briars – Excerpts), and Enlistment (Excerpts from Elgar’s Symphony No. 1 in A-flat major, Op. 55). Go To The Mirror is the most popular track from Jack Nicholson, scoring 19 out of 100 on the popularity scale. Life on Gallipoli (Elegy ‘In memoriam Rupert Brooke, Loch Lomond, Bushes and Briars – Excerpts) and Enlistment (Excerpts from Elgar’s Symphony No. 1 in A-flat major, Op. 55) have popularity scores of 1 and 0, respectively. The Spotify popularity score is on a scale from 0 to 100 and reflects the number of times the song has been played and how recently it has been played.